Sonia Gandhi said that the 'Praja Kutami' (people's alliance)- comprised of Congress, Telugu Desam Party, Telangana Jana Samithi, and CPI- was one for all sections of society. 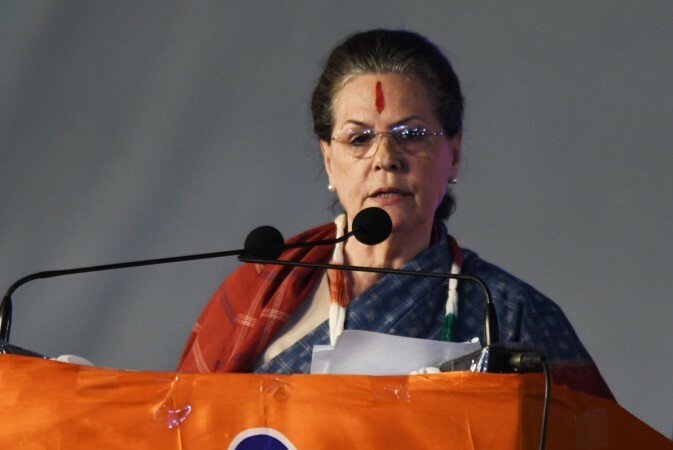 Former Congress president Sonia Gandhi appealed to the electorate in Telangana to vote for the "Grand Alliance" in the assembly elections slated on December 7, saying those in power in Hyderabad had betrayed them and it is time for people to realise their aspirations. She said the 'Praja Kutami' (people's alliance) - comprising Congress, Telugu Desam Party, Telangana Jana Samithi, and CPI - was a grand alliance for all sections of society. "Four and a half years ago a separate state of Telangana was created. I too played a role in making that happen. But, you have been betrayed by those in power in Hyderabad," she said in a message posted on the Congress's official Twitter handle. "Now is the time, wherever you are in Telangana, to fulfil your hopes and expectations, your desires and aspirations. I appeal to you personally to vote for Praja Kutami," she said. She promised the people of Telangana a government that will stand with every section of the society and will represent the people of the state.